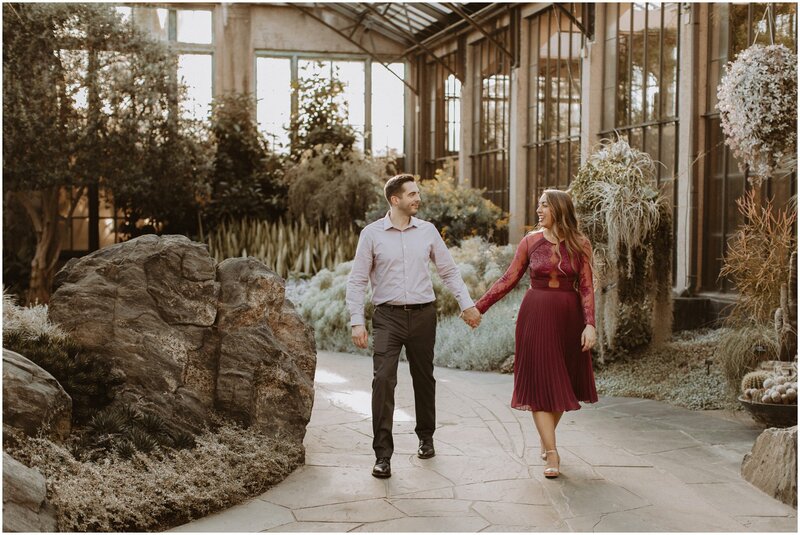 Today, I am super excited to share this Longwood Gardens engagement session. 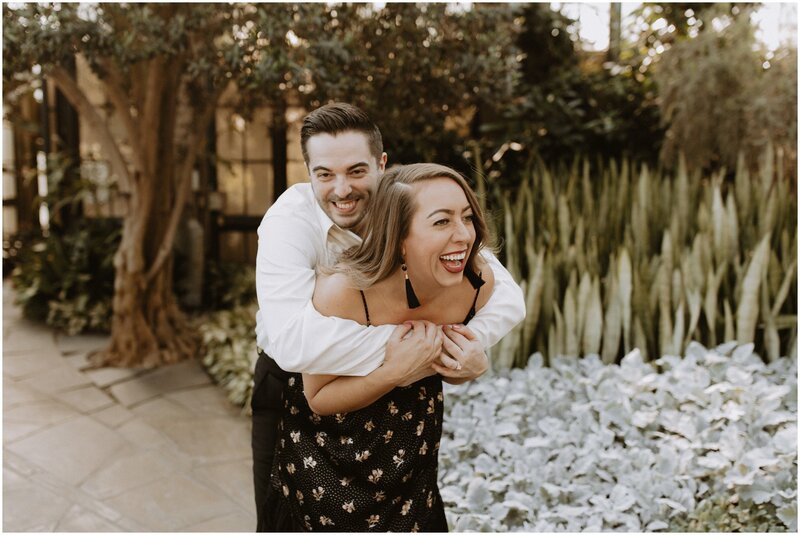 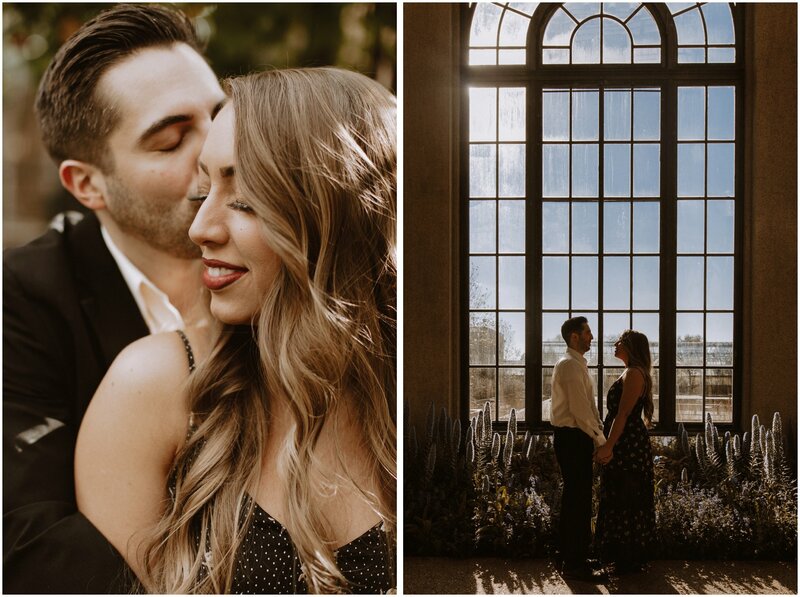 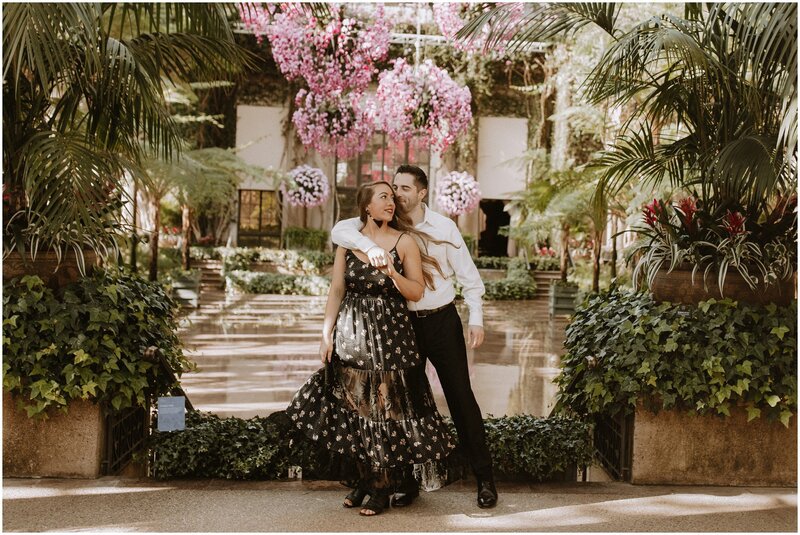 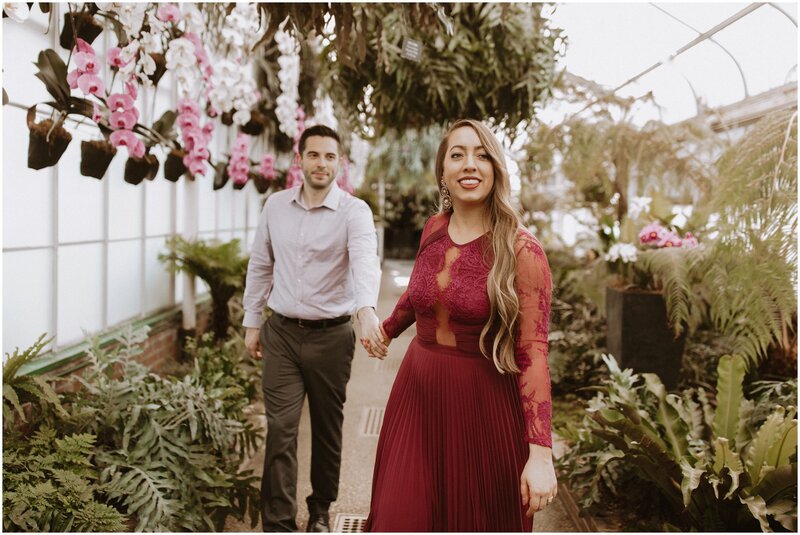 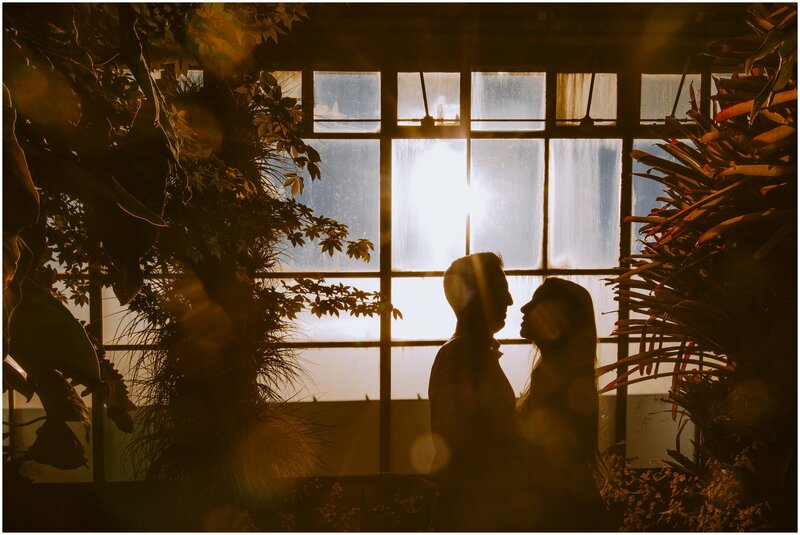 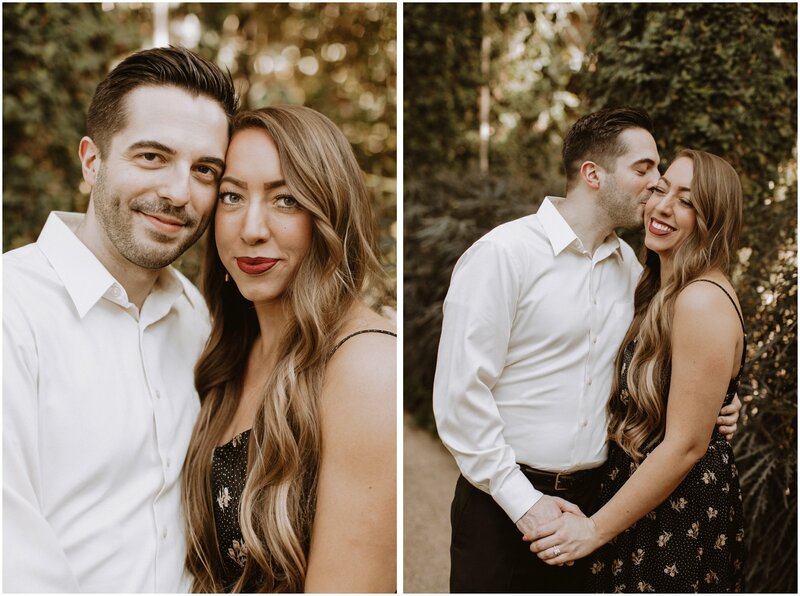 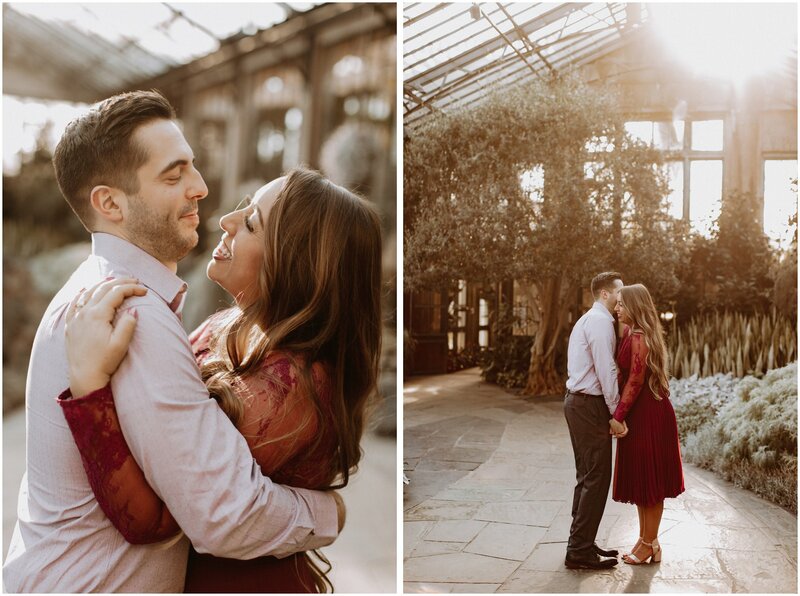 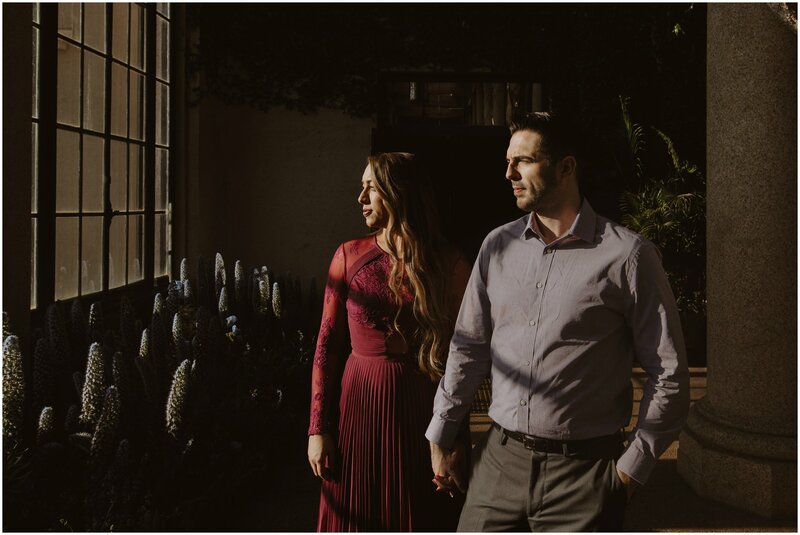 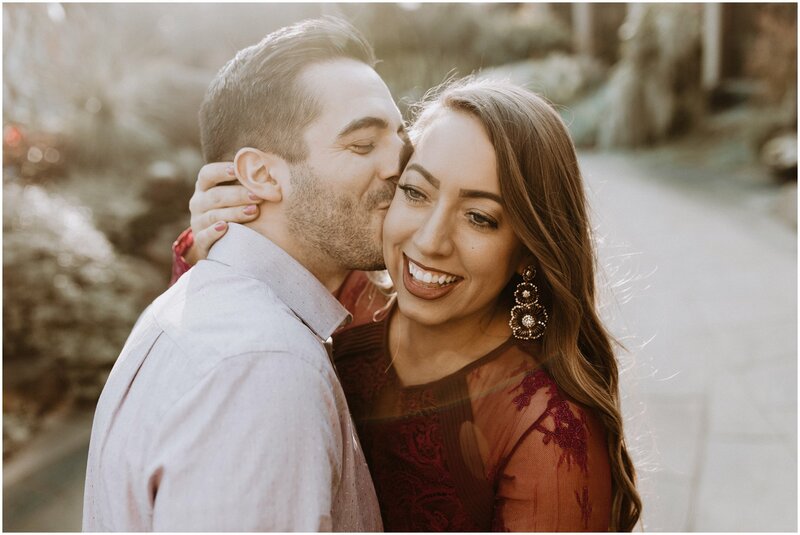 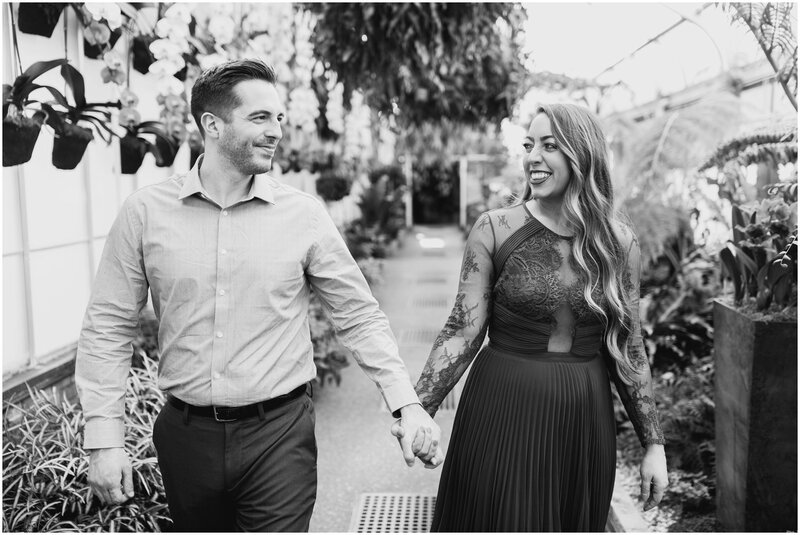 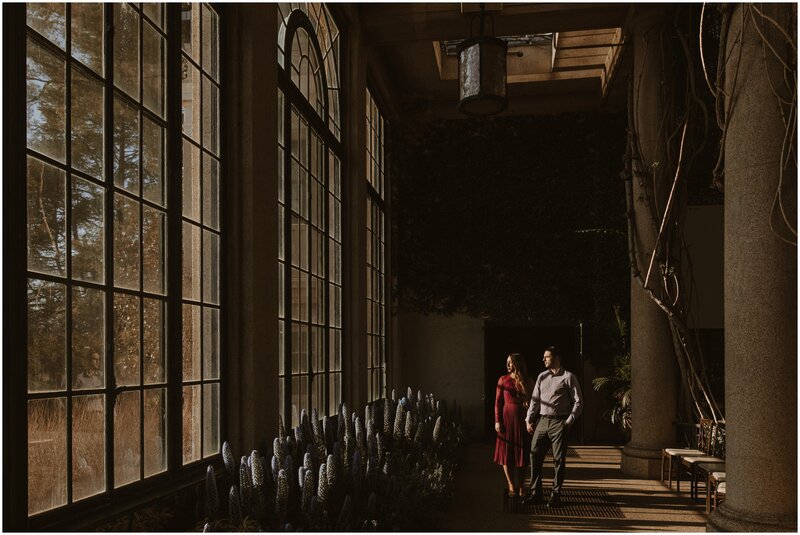 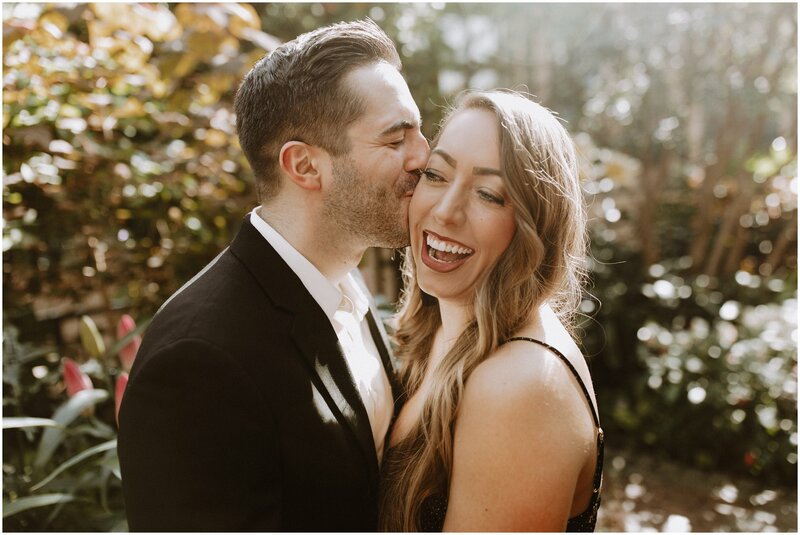 Karleigh and Tony had their engagement session where they previously got engaged: Longwood Gardens! 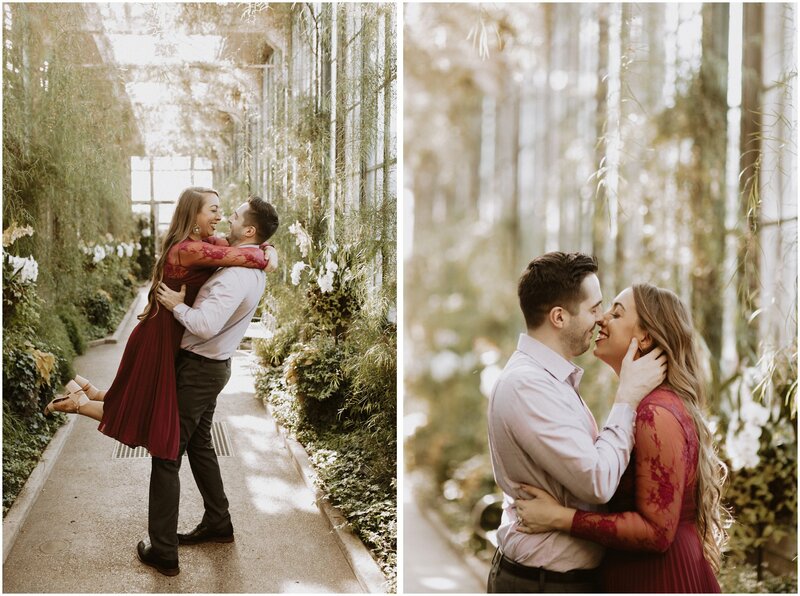 This location is the most epic greenhouse I have ever experienced! 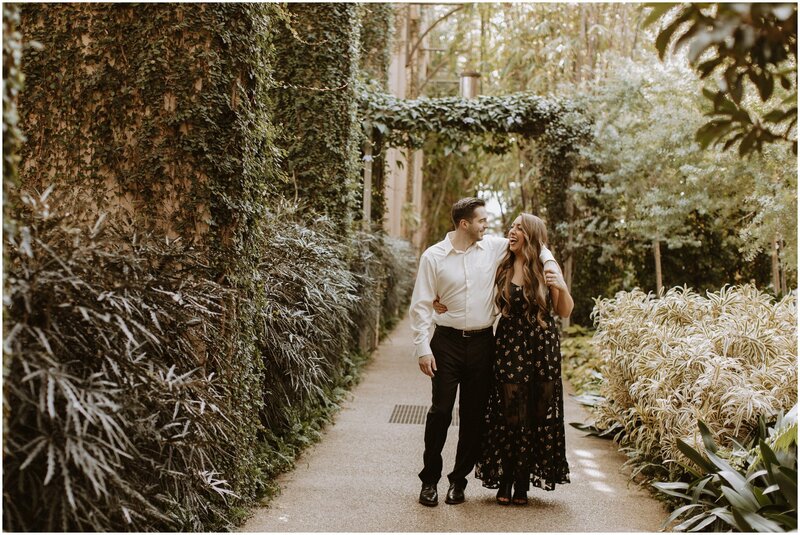 I could have spent hours there and am already planning my trip back. 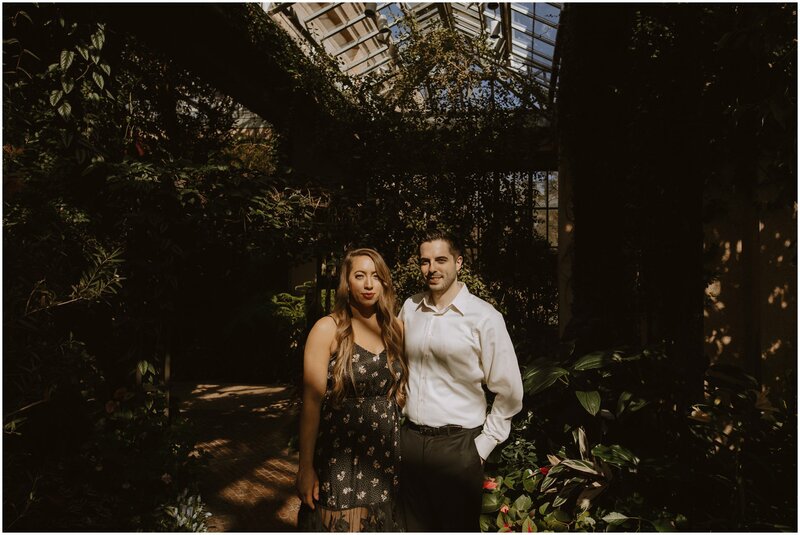 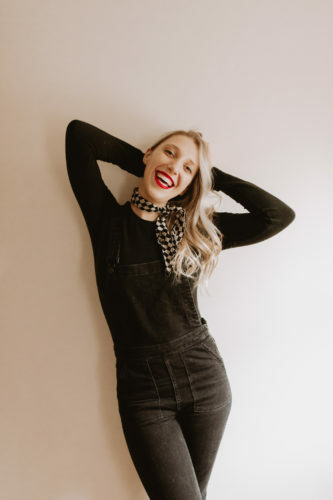 “We went [to Longwood Gardens] with my family, just like we do every year at Christmas. 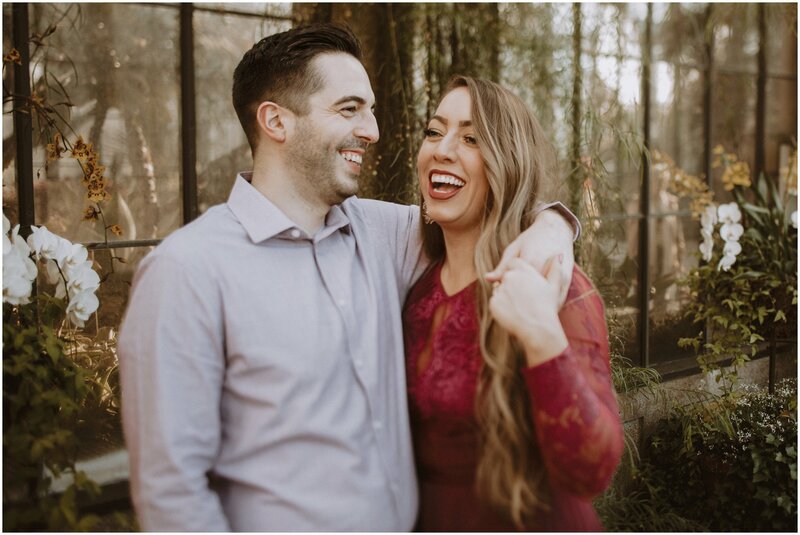 My aunt was also visiting from out of town, and Saturday was her birthday. 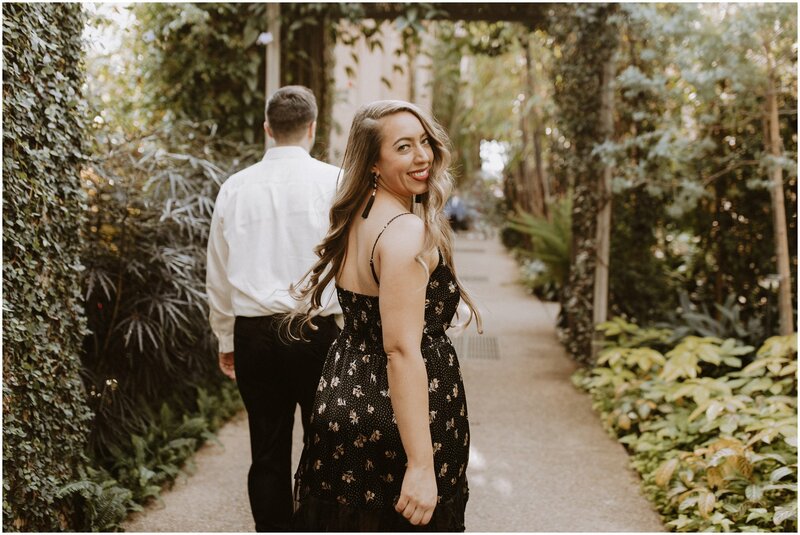 My mom had told us we’d be going out to dinner after to celebrate her birthday! 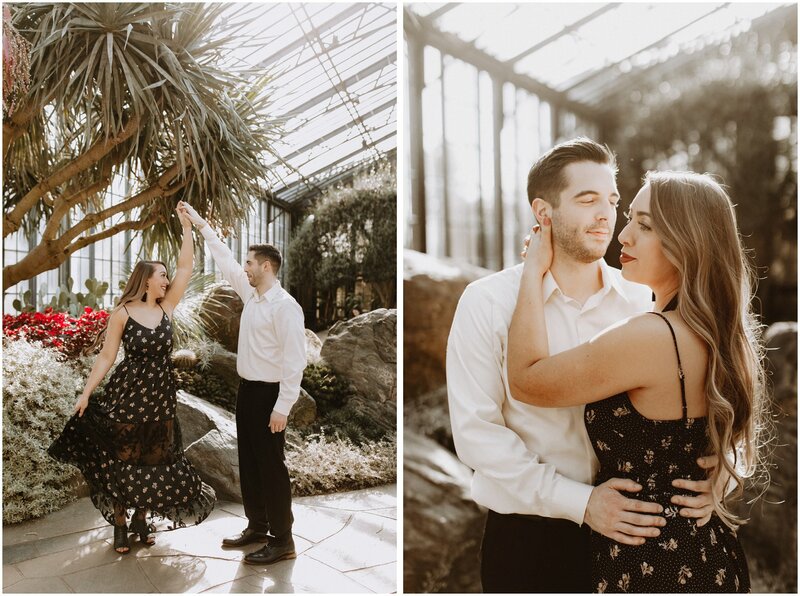 We spent over an hour and a half there, starting in the conservatory and eventually migrated outside as it started to get dark. 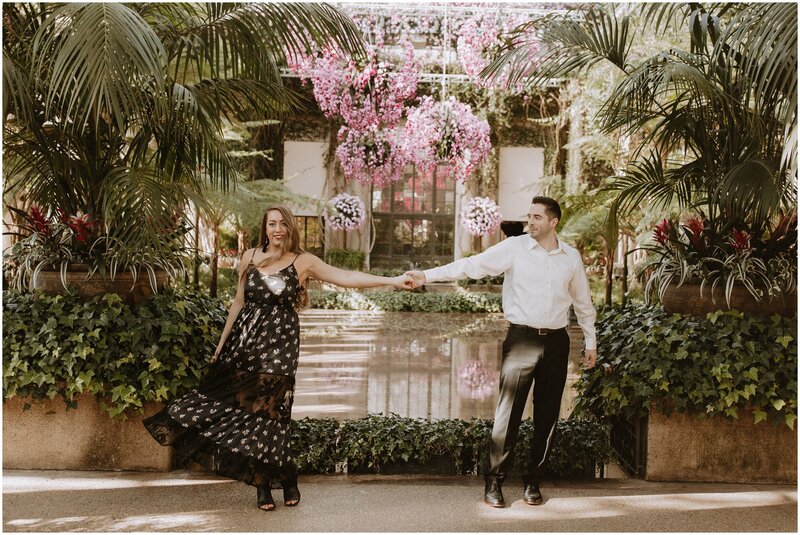 I loved photographing this Longwood Gardens engagement session. 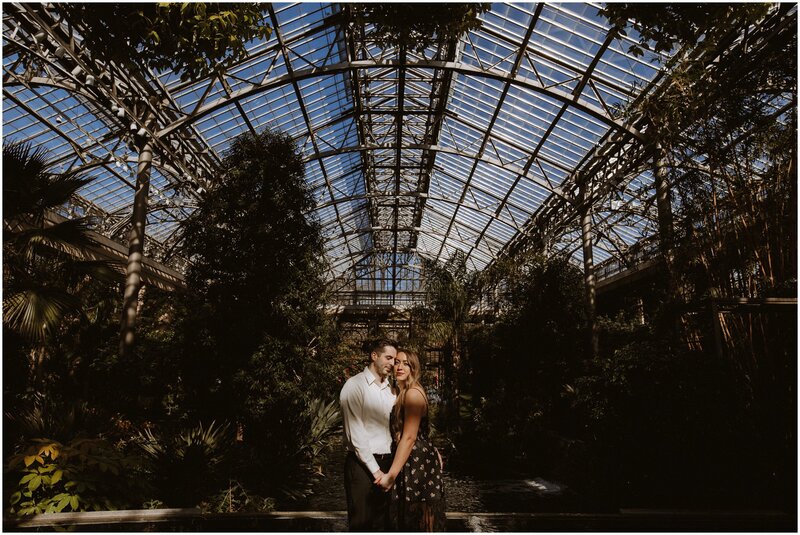 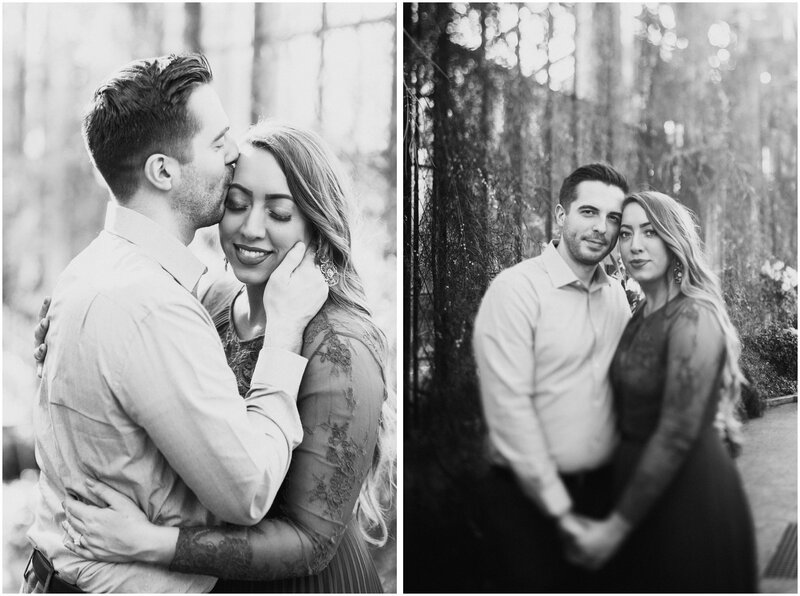 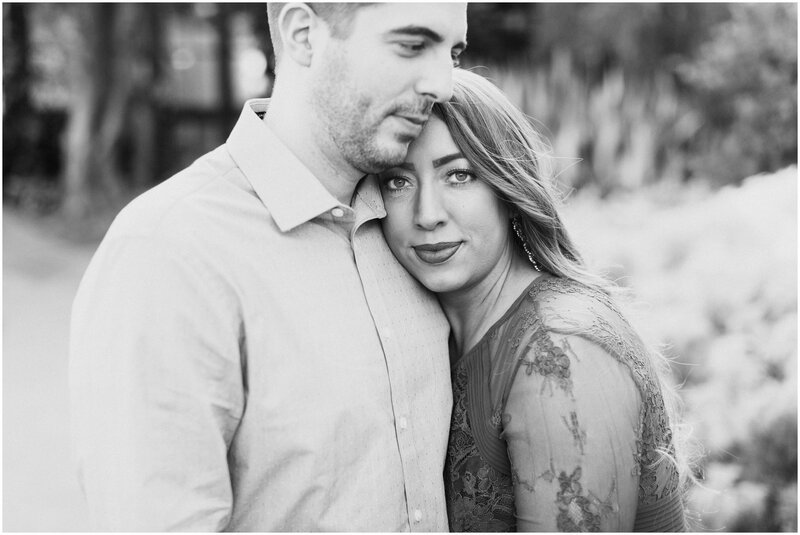 I can’t wait to capture their big day this fall when they tie the knot at Gramercy Mansion. 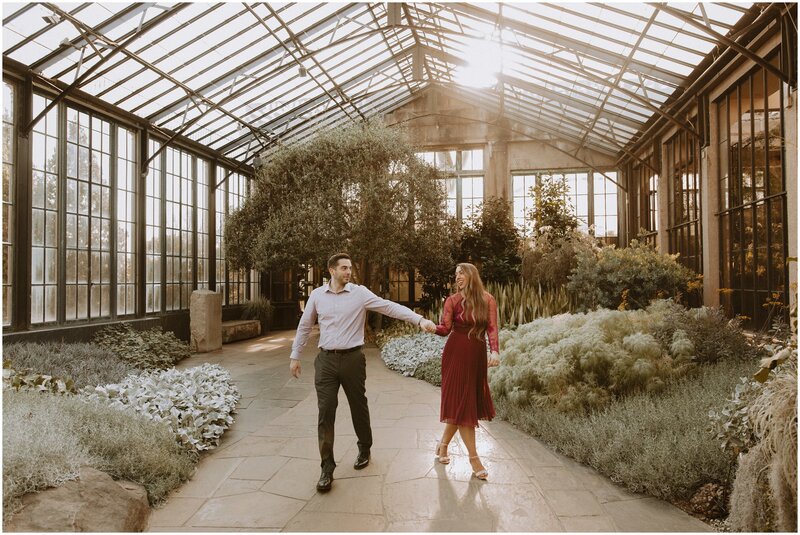 Longwood Gardens Engagement Images by Baltimore Wedding Photographer Kate Ann Photography.